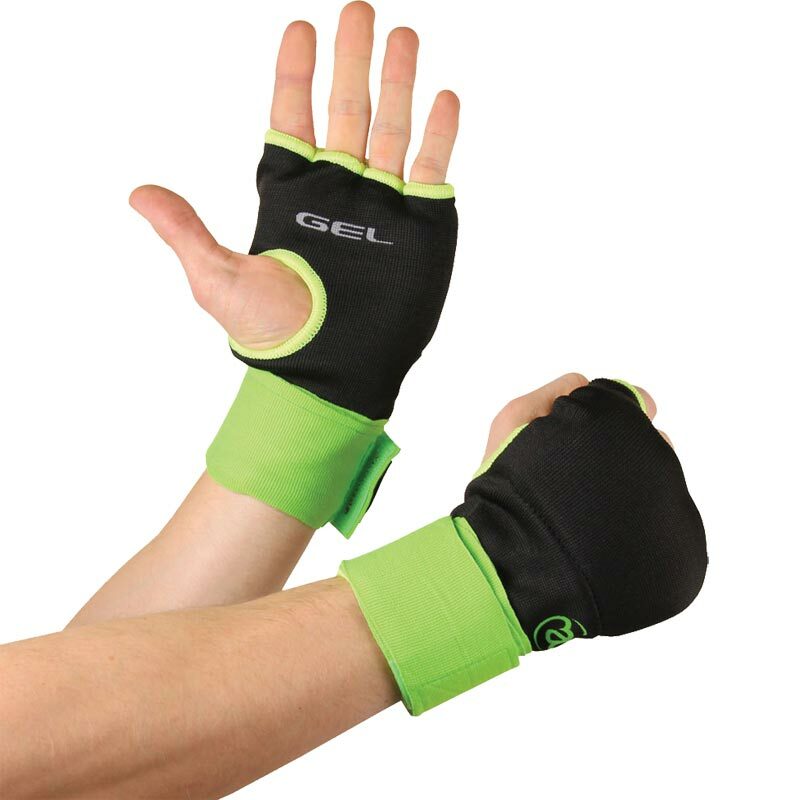 These Gel Boxing Inner Mitts by Fitness-Mad can be worn inside training gloves or bag mitts. An easy and convenient alternative to traditional hand wraps as you simply slip them on and use the wrist wrap to secure in place. Perfect for boxing fitness classes or light training use. 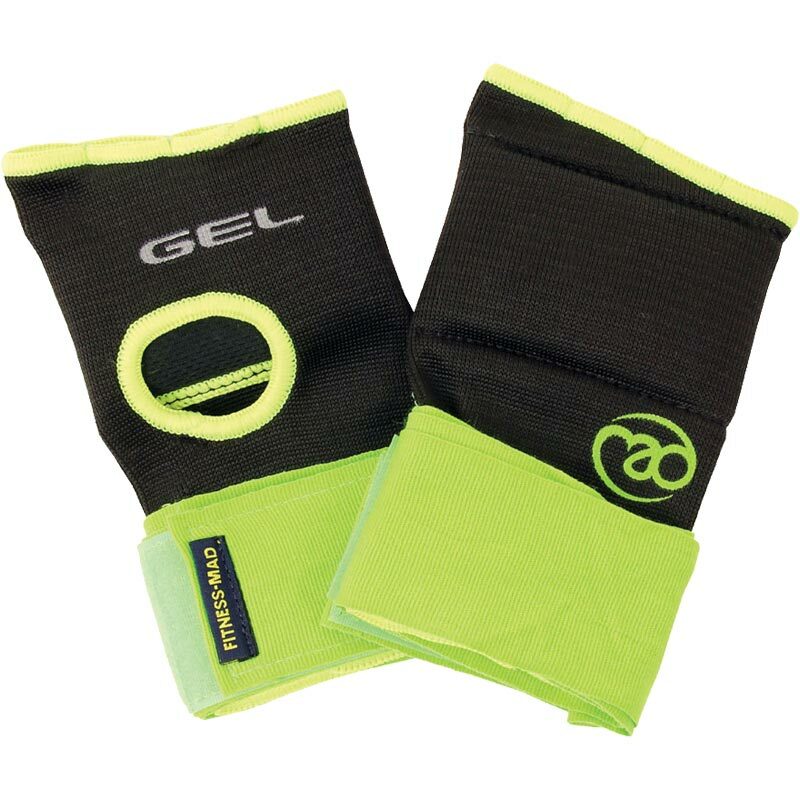 The gel pads cover the knuckles to provide additional protection against impact. These gel inner mitts are also a hygienic way to avoid glove wetness and help to control odour caused from sweating. Machine wash cold. Wash separately. DO NOT put through a spin cycle or dry as this may damage the mitts. Can be worn inside boxing gloves or bag mitts. An easy and convenient alternative to traditional hand wraps. Gel pads cover knuckles for extra protection against impact.